Quarterbacks and their home road splits; Plus, how they play in crucial games. Many people question if home road splits are an actual viable stat to keep in mind for fantasy football. These are professional quarterbacks we are talking about after all. Those people I would like you to meet Mr. Big Ben Roethlisberger (maybe you have heard of him? ), who is the poster boy for this stat. Since 2014 Big Ben has averaged 30.1 points per game at home compared to just 17.12 points on the road. If put those numbers at a season long pace Ben at home would have 482 points, but on the road, he would have 274 points. 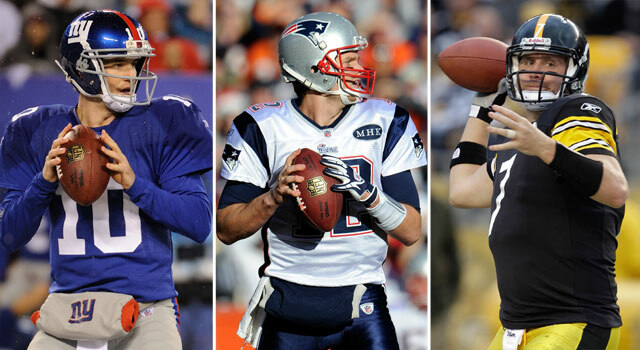 Big Ben isn’t the only big name quarterback who is affected by home road splits. Drew Brees also has a slight decline when it comes to playing on the road compared to the Superdome. In 2016, Brees averaged 23.41 points at home compared to 18.13 points on the road. The best thing about those two players this year is that neither one of them are on the road at the same time for the 2017 season. When considering starting a quarterback who is playing on the road, you should also take weather into account. California, who has 3 NFL teams, averages 46 degrees during the winter time, compared to New York which averages 23 degrees. So, if you are stuck between two quarterbacks who are playing on the road, choose sunny California! Another factor when deciding who to start at quarterback is if they are playing in primetime, but is there really a difference in production between primetime games though? The average for quarterbacks playing in primetime is: 15 points on Thursday nights, 17.63 points on Sunday nights, and 15.18 on Monday night games. Two points might not seem like much of a difference, but it could be the deciding factor if you win or lose in the given week. While home road splits and primetime games can be a major factor in some instances I have one piece of advice for you when starting your quarterback every week. Studs will be studs and if all else fails Bortles your way to victory.